Is it recommended to soak the clutch plates as you do with a standard clutch? And is the oil used on these plates the same that's used on standard clutch systems? Thank you. I have no electronic skills but I'm sure the parts are avaliable to form your own ? Lithium powered so it lasts a period of time . How about a pair of wire cutters knocked back with a hammer whilst held onto the groove of the pin? 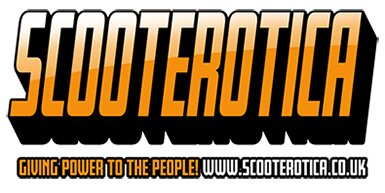 ↳ Show us yer Scoots!! ↳ Now and then photos of members..
↳ Rallys, Rideouts and Club Meets.